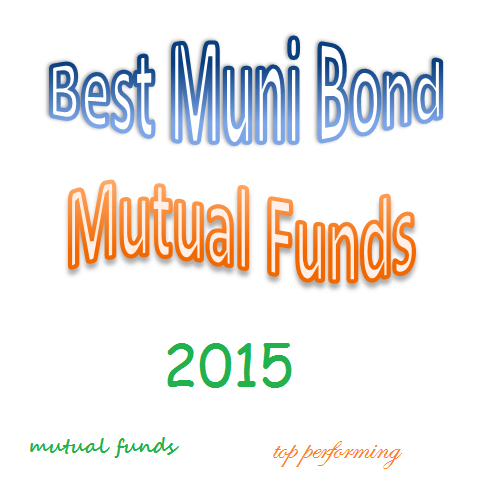 Find best performing national intermediate municipal bond mutual funds 2015. These national intermediate municipal bond mutual funds invest mainly in municipal debts with duration between 5-7 years. The income yield is usually tax free from federal income & possibly state tax or local tax. The list is compiled based on the fund performance for the past 1 year up to March 8, 2015. You can find other fund information such as review, expense ratio, management, risk, top holdings, fund sector, etc. This Schroder Broad Tax-Aware Value Bond Fund uses its assets to purchase U.S. dollar-denominated, investment-grade fixed income debt instruments. This muni bond fund has a yield of 3.06%. Its expense fee is only 0.46%. There is no sales load. Total assets are $113 million. This bond fund is ranked with 5 star rating by Morningstar. In 2014, it has 1 year total return of 15.40%. Its 3 year annualized return is 5.73%. Eaton Vance Municipal Opportunities Fund is a 3 star bond mutual fund. Its expense fee is 1.09%. It also has a yield of 1.84%. With assets of $224 million, this municipal bond fund has a high rate of portfolio turnover, 283%. Adam A. Weigold is the fund manager. This muni bond fund has returned 9.42% over the past 1 year, and 4.90% over the past 3 year. The Vanguard High-Yield Tax-Exempt Fund invests mainly in in investment-grade municipal bonds. This popular municipal bond mutual fund has $8.5 billion of assets. The fund manager is Mathew M. Kiselak. The current yield is 3.70%. Its portfolio turnover rate is only 28%. Its expense fee is 0.20%. You can buy this Vanguard fund with $3,000 initial funding for your brokerage. It is also ranked highly by Morningstar with 5 star rating. This muni bond fund has returned 4.79% over the past 3 year, and 4.86% over the past 10 year.